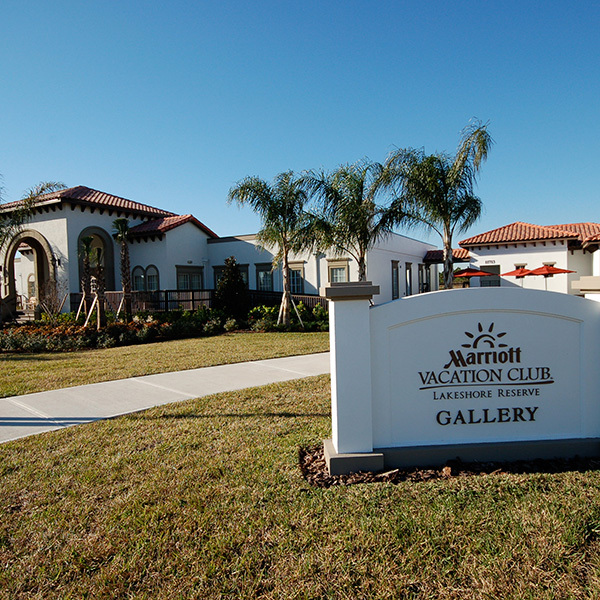 Marriott Vacation Club International (MVCI) is world renowned for offering upscale and unique vacation home ownership. Due to permitting and acquisition issues, the Grande Lakes project was unable to break ground on time and was going to miss the peak buying season, thus greatly reducing the initial sales opportunities for this new five year project. MVCI Architects met with Affordable Structures and developed a method to construct a two bedroom two bath patio home off site in a manufacturing facility. The model was an exact replica of the patio homes to be constructed the following year. The home was divided into five sections that could be assembled when the site was ready. In addition, the model would serve as a modular sales office for MVCI.